Whether you want to keep an eye on your kids or pets when you're out, or you need surveillance of your home or business, IP cameras deliver the power and flexibility you need. In contrast to wired analog and HD camerasresqtvecytftsvbfaqvsedsuexybbzxuwvr, each of your IP cameras exists as a mode in a network. This lets you access your surveillance camera feeds from anywhere using a computer or mobile device. At the same time, they can also connect to a central unit for monitoring and recording. IP cameras work via the internet protocol (IP)—a set of rules that governs data transfer online. The cameras connect to your home or business network via Wi-Fi, cellular modem, or Ethernet, and for this reason, they're also called network cameras. 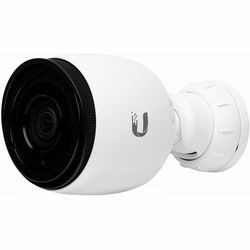 This decentralized setup also means you don't need a central control unit, as you can access each camera individually over the internet from any location using a laptop, desktop, tablet, or smartphone. In addition, video output stores in the camera unit itself using on-board storage, such as a memory card. You can choose to have your Wi-Fi and wireless cameras work in centralized mode and hook them up to a network video recorder, or have them working in both centralized and decentralized modes. As with all electrical devices, network cameras require a power source, usually one that delivers 12 volts of DC or 24 volts of AC. Traditionally, this would be supplied by fitted wiring or via an adapter located nearby, and IP cameras that connect wirelessly still need a separate power source. However, as most units communicate via Ethernet, one solution is to use power-over-Ethernet (PoE). 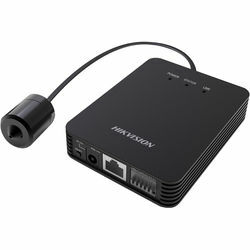 By using a PoE power injector or midspan, the power is delivered along the Ethernet data cable, such as with PoE IP cameras. 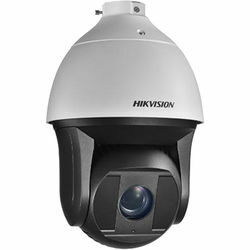 What Kinds of IP Cameras Are Available? These surveillance devices come in several form factors. The simplest are cylindrical units called bullet cameras. 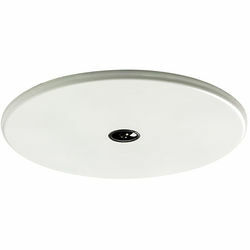 These are robust and easy to install and adjust, and can be placed in tight spots. 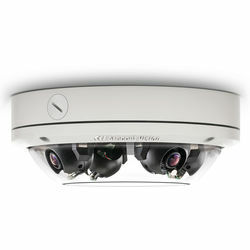 A more elaborate option are dome IP cameras which are generally used indoors and have varifocal lenses that allow you to remotely zoom in on chosen spots. To effectively scan your environment, you can opt for pan, tilt, zoom cameras, or PTZs, which you can adjust manually or via software. Most IP cameras come equipped with night vision capability, achieved via infrared illuminators. You can also find nonfunctional dummy cameras that work as a deterrent. 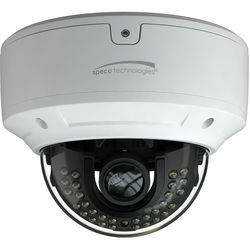 Are you ready to invest in the best outdoor IP cameras to safeguard your home or business? Check out the comprehensive range of network cameras, including construction cameras and accessories, available at B&H Photo and Video.